Voice search is probably the leading trend that is gaining mad traction in the world of search engines. Voice command, though, is nothing new. It began with ‘Siri”, the iPhone 5 iOS virtual assistant in 2011. Although the word accuracy and range of languages left a lot to be desired, voice searches and commands have grown in leaps since then. The OK Google voice search is one of the most popular types of voice search. It is a virtual assistant, mobile assistant, and browser assistant. Other voice search technologies include Siri, Cortana, Roku, Amazon Echo, Alexa, and Firestick. A lot of research and resources are going into optimizing this technology to make it the go-to search criteria for all users. Staying atop of the changing online trends is key for all small businesses and local search marketers. SEO may never be the same again once the voice search technology comes full circle. It is imperative for businesses to optimize their voice search to capture the full benefits of this emerging trend. The gist behind voice search is the conversational tone of the search. You need to understand the difference between the user who opts for voice search and the one who opts for keyword search. This is important in tailor-making your website to accommodate both. 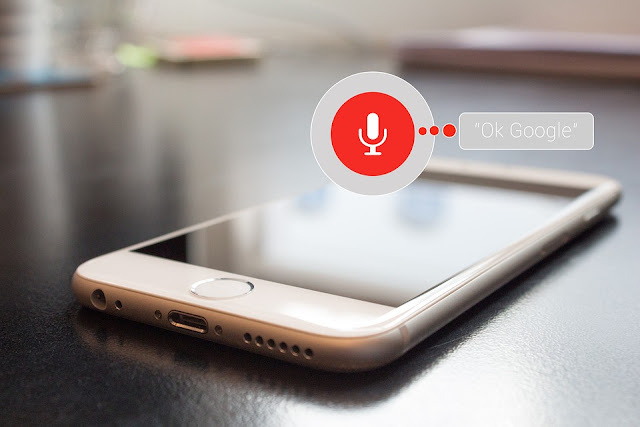 Here are some ways you can optimize your website for voice search. Voice search is slowly demolishing Short-tail Keyword searches. Searches are becoming more conversational and detail-oriented. This is going to impact on organic results. By making your content more relatable to everyday conversation and interaction, you will increase your SEO and ranking on the search engine results. FAQ pages are about to become more important than ever. Studying the voice search trends and how most of the users tend to begin their searches will be your best ally. It will help you to craft your FAQ questions and answers in the way that best serves your visibility. A good tip is to begin your FAQ questions with Why, Which, When, What, Who Where, and How as this is how most voice searches begin. Schema is not a new concept. Schema microdata is basically a description of what your website or content is all about- its information about your information. Though not widely used, it is emerging as the best way to bring the intimate details about your website and content to the forefront. If you have not already included schema into your content, it is definitely time to do so. Many of us don’t pay much attention to the Google My Business free listing provided by Google. This needs to change. Up-to-date details on your Google My Business page can upgrade your position from the last on organic search results to the first. Including images and juicy details like traffic and parking could be exactly what your site needs to get to the top of the list. Your website could greatly benefit from optimization around the words “Near Me”. Voice search statistics rate this as one of the most common phrases.Invest in Google Maps Local Search Ads and incorporate the Ad Words’ Location Extension. These two platforms are a great way to bump your website to the top of search results. The backbone of marketing is anticipating clients’ needs. Analyze and understand the core needs that bring traffic to your business and serve that information on a platter. Users of voice command usually expect answers in a matter of seconds. Your information should be as such so that google crawlers can find it easily and avail it to the customer all in a matter of seconds. As mentioned earlier, voice search results are generated in seconds. Your website, therefore, should be optimized to load faster and allow Google to retrieve the information and present it to the customer. If your website is slow, useful as your information may be, Google crawlers will pass it by. You can begin by running speed-tests on your site to determine if it needs optimizing. Most voice searches are done via mobile phones. Customers should, ergo, be able to read the information they need from their mobile phone. Work on your page layout, CTA buttons, and toolbar to ensure that your site gives mobile phone customers a good experience. Google recommends the use of Google Mobile-Friendly test to find out if your website needs to be updated. As we all know, voice searches are mostly done via the phone. Google Mobile and Virtual Assistant have Google Search Engine as their default result generator. iPhone’s virtual assistant, Siri, uses Bing as the default result generator. Approximately 35% of smart phones are iPhones and 57% are Android. If you expand your search engine options, you may end up with a lot of new traffic. The kind of language you use on your content is going to play a big role in determining your voice search traffic. Make sure your language is as simple, precise, and captivating as possible. This will ensure that the user who wanted short answers can quickly browse and leave, and the user who wanted the long answer can stay and read. Ultimately, voice search is still very new in the market and there is a lot to be learned. The trick is to stay open and malleable to the ever dynamic trends of the internet. Message: I hope that you have enjoyed 'Voice Search Optimization (SEO) 2018 - 10 Ways to Optimize for Voice Search Effectively' article on Tips2secure. However, if you want me to deliver more items, then please share my post. You can use Social Sharing Widget provided at the end of every post. After all, Sharing is Caring!